Sir Ian McKellen’s portrayal of an aging Sherlock Holmes is an intriguing continuation of the fascinating character—it’s elementary. Based on the 2005 novel A Slight Trick of the Mind by Mitch Cullin (Tideland), Mr. Holmes embraces the humanity and curiosity that the Sherlock Holmes character is celebrated for and takes it to a logical conclusion. The year is 1947. 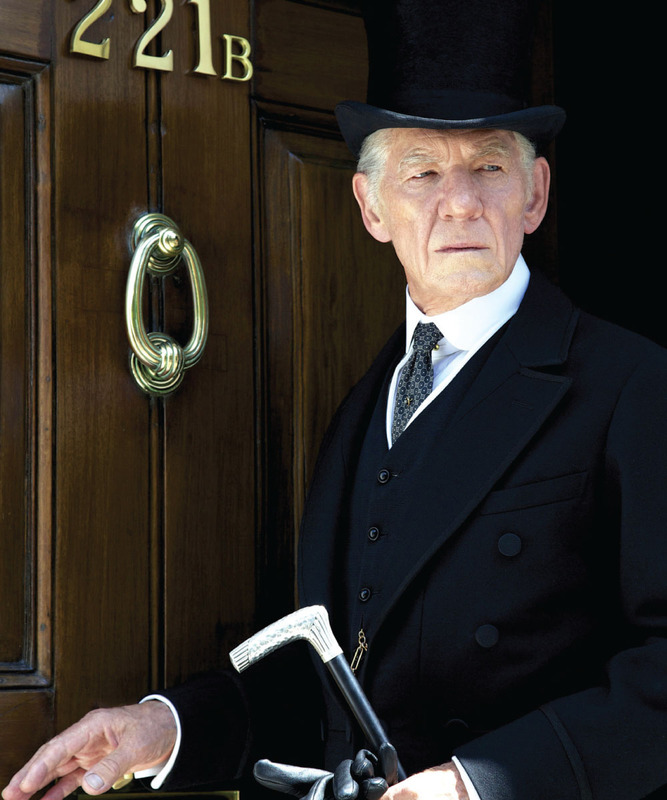 93-year-old Sherlock Holmes (Sir Ian McKellen) is long retired, living in the countryside as a bee tender. Holmes’ quiet existence is shaken by the deterioration of his brilliant mind. Facing the loss of mental acuity, he desperately tries to recover control of his increasingly disorganized thoughts. Haunted by doubts, Holmes decides to revisit a tragic case from his past to see whether it might have resolved differently had he responded to it emotionally rather than logically. Director Bill Condon (Gods and Monsters, Chicago, Kinsey, Dreamgirls) skillfully interweaves past and present to create more than a simple detective story. But even an artistically ambitious Sherlock Holmes film needs a solid mystery at its core. The archived case Holmes fixates on throughout the film hardly meets the classic standards, still McKellen is brilliant both as the young, intelligent detective and the fragile man grappling with the loss of his faculties. Holmes’ analytical mind, stunning powers of observation, mastery of disguises, great physical strength and willingness to leap into action essentially made him the first modern superhero. 250-plus films and TV shows later, fans donning the iconic deerstalker hat continue endless debates on the minutiae of his adventures, talking about him as a real person rather than a fictional creation possibly because, despite all his qualities, Holmes remains a deeply human figure with strong eccentricities and definite weaknesses, like his tendency towards depression and addiction to cocaine. Considering this film, the recent Hollywood blockbusters starring Robert Downey Jr., the current hit TV show Elementary and the ongoing popularity of Conan Doyle’s original stories, Sherlock Holmes will likely continue to be a vital figure in the popular imagination for years to come. Even if the rest of this film doesn’t measure up to McKellen’s performance, his portrayal of Holmes deserves a place of honor among the countless great actors, ranging from Basil Rathbone to Benedict Cumberbatch, who have deftly portrayed this iconic detective.